The rise in cancer survival rates has raised concerns about the long-term adverse effects of cancer treatment, including neurocognitive impairment. Neurocognitive deficits such as attention and processing speed are frequently observed and can have a profound, lifelong impact in daily life of cancer patients. Interestingly, large interpatient variability exists in cognitive outcomes. Emerging evidence indicates that such differences may be related to genetic variation. The aim of our review was to systematically summarize the current literature on the modulatory effects of germline genetic polymorphisms on cancer treatment-induced cognitive changes and the potential age-dependent impact in cancer survivors. The PubMed/Medline database was screened using an extensive search string focusing on four components: “cancer”, “cancer treatment”, “neurocognitive outcome” and “germline genetic variation”. Seventeen studies meeting predefined eligibility criteria were analyzed, including sixteen candidate gene studies and one genome-wide association study. 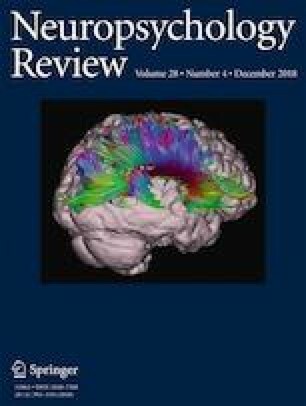 38 polymorphisms in 15 genes across proposed pathophysiological pathways, including (1) neural plasticity and repair, (2) neuroinflammation and defenses against oxidative stress, (3) neurotransmission, and (4) folate metabolism pathway, were reported to be significantly associated with treatment-related neurocognitive dysfunction or neuroimaging abnormalities. Still, some study results remained discordant, partly due to the methodological heterogeneity (i.e. in test assessments, age, cancer-type populations). Future large-scale, (epi-)genome studies integrating neurocognitive assessments and advanced neuroimaging techniques, are recommended in order to investigate neurotoxicity throughout the lifespan. Hence, adverse neurodevelopmental problems during childhood and neurodegenerative processes later in life could be minimized based on genetic risk classifications. Charlotte Sleurs and Aline Madoe are shared first author.